Paris has two remarkable and unusual pagodas. Curiously, neither was built as a sanctuary or shrine. 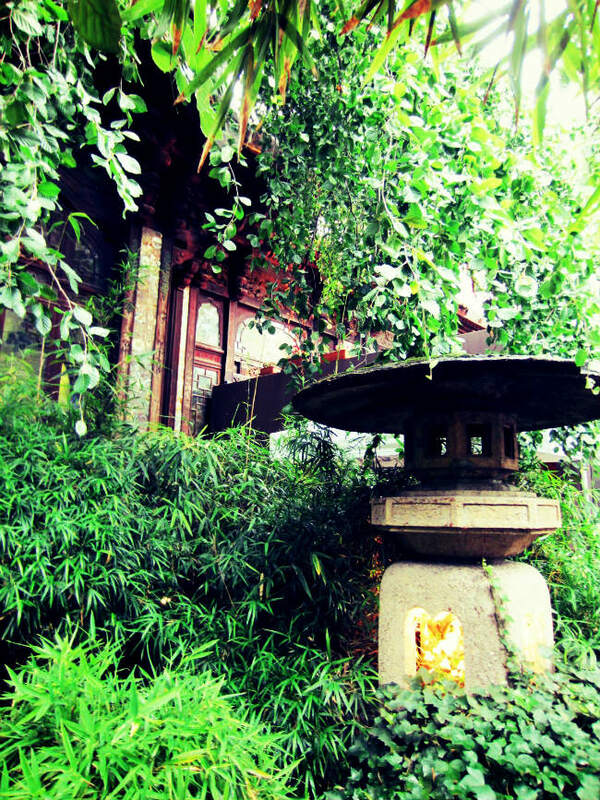 On the outside, one is bold and conspicuous while the other is discreet and hidden in a thick bamboo and gingko garden. A closer look reveals that both have unconventional architecture and sumptuous interior design. Their histories are engrossing, sprinkled with a little mystery. In the first installment of a two-article series, I will share the story of La Pagode, a delicate, Japanese-style pagoda situated in the prestigious 7th arrondissement. It was built in 1896 by a prominent man as a birthday gift for his wife. Later, it became a fabled cinema. 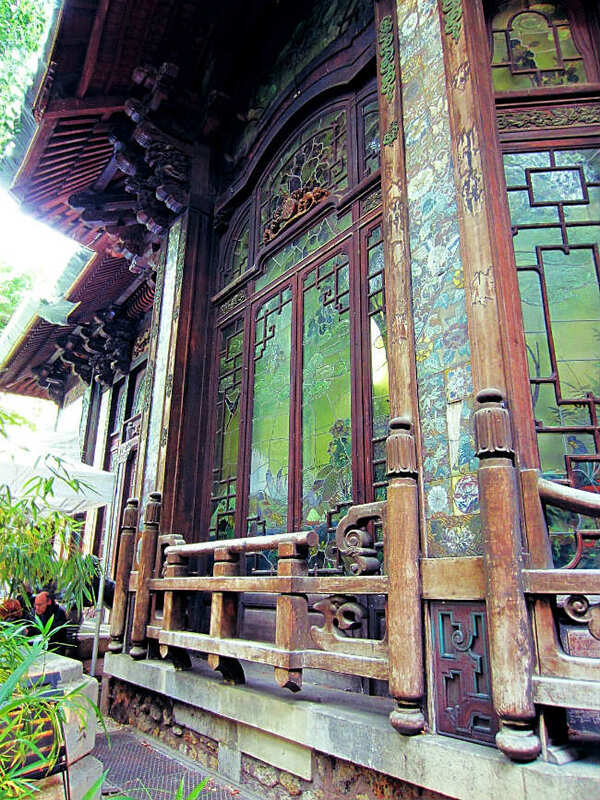 The exquisite architectural jewel and enchanting bamboo garden are historical monuments. Today, La Pagode’s situation is in a state of… suspense. The second article will tell the tale of the Pagoda Paris (or the Red Pagoda), an imposing, Chinese-style pagoda located in the upper-class 8th arrondissement. The year is 1896 – the height of the flamboyant Belle Epoque era – and François Emil Morin, a director of the grand department store Le Bon Marché, is trying to think of a unique birthday present to give his wife, Suzanne Kelson – a woman with an impulsive personality. She is known as “Amandine,” meaning “much loved,” and Monsieur Morin is wholly infatuated with her. He is so eager to please her that every evening he brings a little gift from the store to coax squeals of pleasure from her. This birthday present should be something that really takes her breath away; something that would be the envy of tout Paris. Japonisme is all the rage and he finds inspiration in that. He would build her a beautiful pagoda! Monsieur Morin sets out to buy the property at 57, rue de Babylone (a short walk from Le Bon Marché). He hires top architect, Alexandre Marcel, who coincidentally is also fascinated with Japonisme. Monsieur Marcel orders panels, paints, frescos and statuary directly from Japan. He incorporates these and adds special French touches, non-existent in Japan at the time, like art nouveau stained glass windows and, for the interior, lots of gold-leaf Asian baroque ornamentation, fanciful furnishings and a lovely stage. Despite delivery delays and workers not showing up for work, the pagoda is completed on the day of Madame Morin’s birthday. A crowd on the street watches as Amandine, escorted by her ebullient husband, arrives at the pagoda in a carriage, her eyes covered with a silk scarf. He dramatically whisks the scarf away and for a long moment Amandine is indeed frozen breathless. When she recovers, she shrieks enthusiastically, showers kisses on her husband, then runs toward the Pagoda to discover and take charge of her new playhouse. Monsieur Morin couldn’t be happier. From then on Amandine plunges into organizing lavish banquets, balls, thematic evenings, concerts, and plays. One after the other. La Pagode becomes the focal point of Paris’ upper class, crazy social life and Amandine reigns over these extravaganzas dressed in elaborate Japanese costume as Empress of the Rising Sun. One day, only a few months later, a dark cloud appears over Monsieur Morin. At one of her festivities Madame is introduced to a good-looking, suave young man named Joseph Plassard. Amandine, falls madly in love with him right away. Poor Monsieur Morin. He not only loses his beloved Amandine to a much younger man but he happens to be the son of his co-director at Le Bon Marché, Jules Plassard. Quelle humiliation! They divorce; the goodhearted M. Morin gives her La Pagode; and Amandine and her new, 15 years-younger husband sail off for the New World. A saddened but resigned Monsieur Morin is left to his reveries of happier times. Apparently, however, the lavish parties continued with Amandine’s best friend assuming the role of Empress of the Rising Sun. This extraordinary era in La Pagode’s history continued until 1927 when the hosts could no longer carry on. The property was put up for sale. However, due to the unusual architecture, offers were not pouring in. For a few years La Pagode languished idly… until… a Chinese diplomatic delegation showed up. They were in search of a building for their embassy. They thought La Pagode’s architecture was perfectly suitable. Who could have dreamt of anything better? Everything was going smoothly until the diplomats decided to have a closer inspection of the building. They didn’t like what they saw and promptly terminated the lease. The panels and frescos the architect had ordered from Japan depicted battle scenes of the Sino-Japanese War of 1894-95 where the Japanese were the valiant victors. La Pagode closed. Then, in 1931, its doors reopened and voila! La Pagode had reincarnated into a cinema! 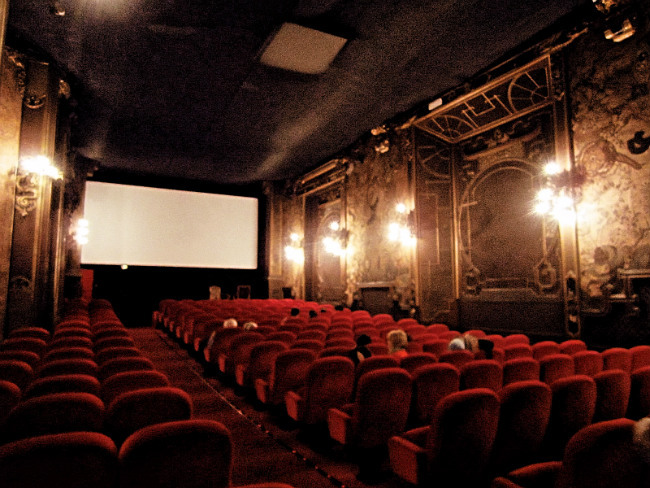 The only cinema ever in the distinguished 7th arrondissement. The program catered to serious cinéphiles showing quality avant-garde films. During World War II when Paris was under Nazi occupation, the theater closed again; yet the place still buzzed with activity. Secret activity. 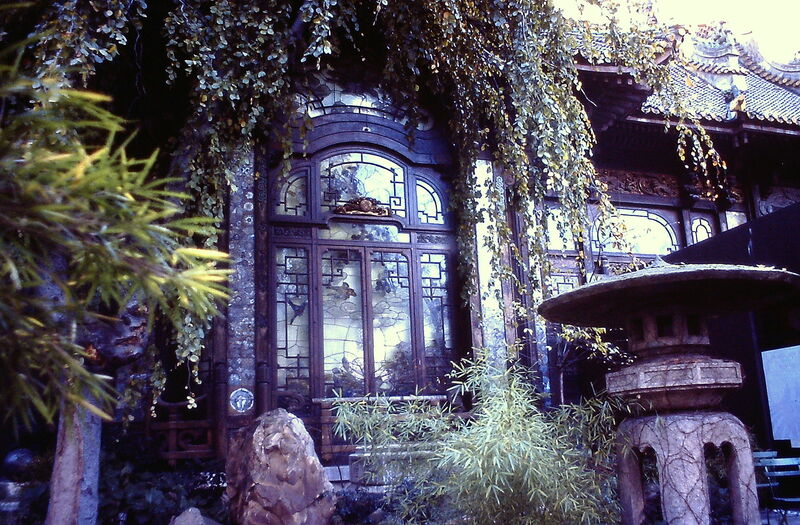 French Resistance members were using the underground passages that connected La Pagode to neighboring mansions to move people around. 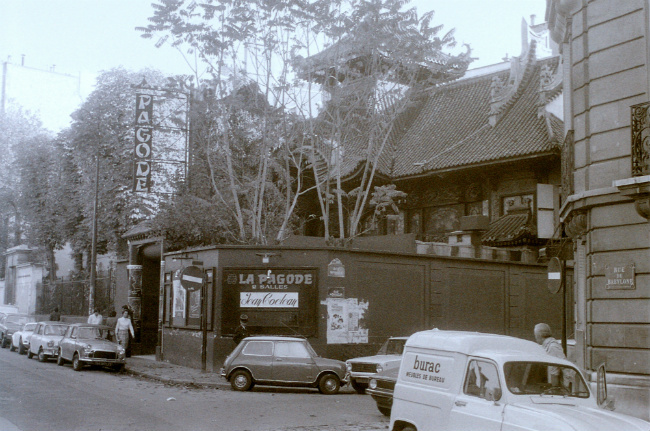 The highpoint of La Pagode’s cinematic life was during the 1960-70s. During this era it became a preeminent magnet for the city’s artistic and intellectual community. So many people have connections to the place, with stories, memories and experiences. One projectionist, for example, recalls a particularly slow day running the scheduled 2pm showing. Only one person showed up. She sat alone in the hall watching a Louis Malle film. It was Jackie Kennedy. In 1985 the (Gibault-Plassard) family put the property up for sale again. It was purchased by a prominent real estate developer, Èlisabeth Dauchy, head of Compagnie Rembrandt Investments. That didn’t stop peculiar offers from coming in. One reported proposal was to turn the lower level of La Pagode into a car park. In 1990 the beautiful pagoda was further spared an excruciating degradation. The American fast food chain with the golden arches and a philosophy of “location, location, location” was eyeing La Pagode as a place to set up business. 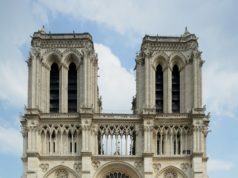 This horrified so many people that Jack Lang, then Minister of Culture, pushed to have the delicate architectural gem classified as a historic monument. From 1997 to 2000 La Pagode was closed so that some renovations could be made. At some point the management of the cinema changed from Gaumont Cinémas to Ètoile Cinémas, a company operating several other successful cinemas in the city. Some renovations were made again, but it was clear that a major overhaul was going to be necessary. The elaborate ceiling had to be removed for fear of ceiling collapse and the walls needed scaffolding to keep them up. Ètoile operated La Pagode for 15 years bringing the attendance to over 100,000 per year. Cinema-oriented events enhanced the cinephile experience. A few years ago the relationship between the owner and the management company began to sour and continued to deteriorate from tense to caustic. 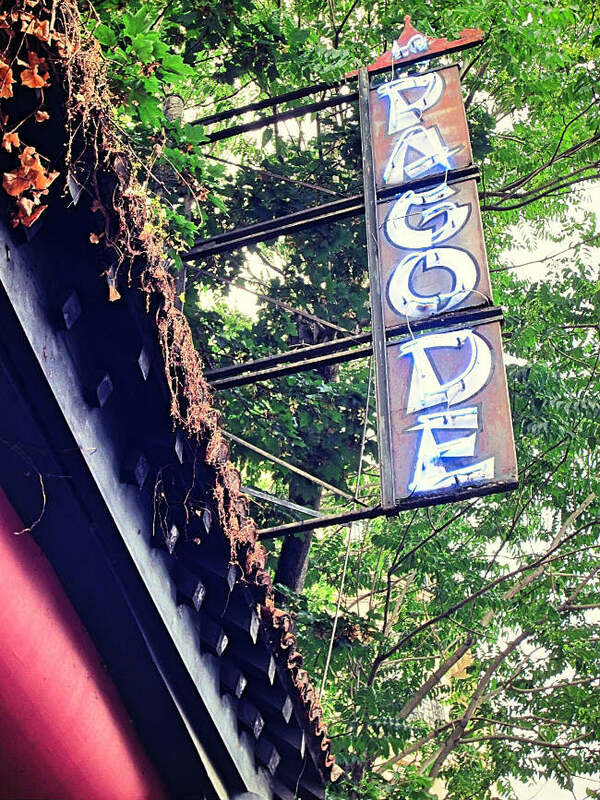 Friends, fans and devotees of La Pagode have been devastated ever since and not very optimistic about its future due to the indefinite term of the closure. Will it open again as a cinema? Will it ever reopen? If so, as what? On February 23, 2016 La Pagode opened for one more day – a sad one – when the non-historical furnishings and equipment, like the red velvet chairs and projection equipment, were stripped away and sold off in an auction. Some items went for practically nothing. A cinema company in the south of France took possession of most of the inventory. La Pagode has a new owner now. In 2017 a New York billionaire real estate developer heard about La Pagode. Without having seen it personally, he tracked down the owner and convinced her to sell it to him. She sold. Before you think, uh oh, this doesn’t look good; it may be the most perfect match ever. 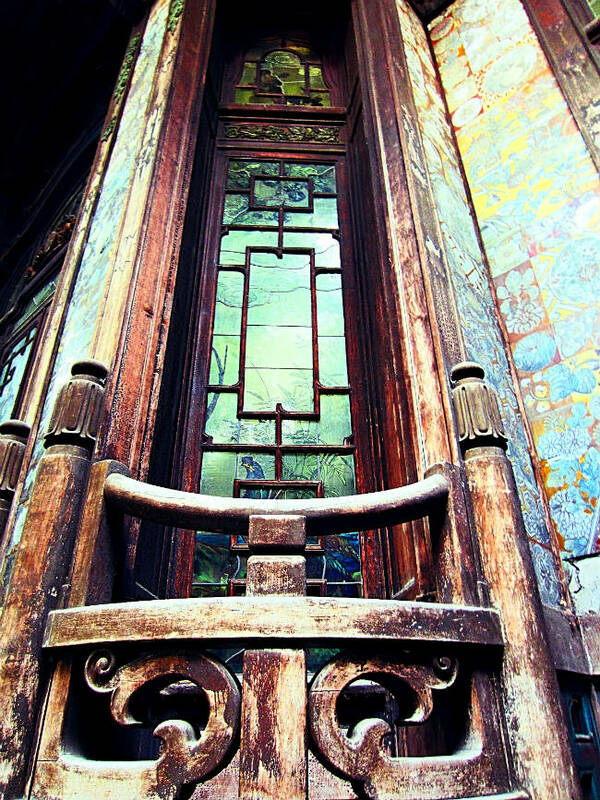 What made Madame Dauchy decide to sell off La Pagode to a New York real estate developer? Charles S. Cohen, La Pagode’s new owner, heads one of America’s leading commercial and private real estate companies. He has worked on many grand projects with top architects and designers. His other interests include wine, fashion, design and much more. Three years ago be bought an award-winning winery in Provence. He’s a kind of renaissance man. His reputation is excellent, his taste impeccable and he is deeply involved in the arts, especially the art of cinema. And that is what makes him so interesting for La Pagode. Cohen, in his words, is a “born cinéphile” and has been since the age of 14. Parallel to his real estate business he produces and distributes independent and arthouse films throughout North America. His Cohen Media Group is today the largest American distributor of French films in the U.S. Besides producing films he is sometimes a director. His first attempt at that was at 16 and his film won a Kodak prize. Some of the films his company has produced received Academy Award nominations or awards. One is the 2017 Academy Award winning film, The Salesman, for Best Foreign Language Film. His accomplishments are too numerous to list in a few words. For a passionate cinéphile like Charles Cohen, restoring a cinema that is an exquisite cultural landmark for Paris is a dream project. It is clear now why Madame Dauchy chose to turn over La Pagode to Monsieur Cohen. She notes that he is a passionate cinéphile, loves French wine, loves French cinema, has the means and the will. Great piece. Took me straight back to 1984, my first year in Paris and when I first visited the cinema at La Pagode. I can’t remember the film but who is going to ever forget the cinema. It would be a travesty if this jewel was lost. Luckily there are enough people with resources to save such gems from either property developers or burger chains! Another haunt of mine was Brentano’s bookstore on Avenue de l’Opera which happens to have opened at almost the same time, in 1895. It closed in 2011 through no fault of its own but being caught up in the bankruptcy of Borders bookstores (owned by KMart!) in the US, but eventually the Paris store was rescued by a Franco-Iranian businessman. I know the world and its cities have to change, but being replaced with burger joints or Starbucks would just be too much to bear. I’m not sure I knew that La Pagode dates from 1896 which happens to be the very year of birth of cinema–for the world and in Paris when the first cinemas opened. Even if La Pagode didn’t become a cinema until the 30s. The Lumiere brothers showed their first film in 1894 but the first regular cinemas opened in Paris and Berlin in 1896. It is one of those special things about Paris. I suppose there is some Chinese mega-city that has more today, but back then Paris was said to have more cinemas than any other city (400 screens) and checking thru Pariscope was a weekly ritual. 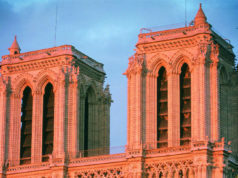 The whole world knows Paris thru cinematography and those of us who lived there know it too thru its cinemas. I wonder if Studio Galande in the Latin Quarter still shows Rocky Horror Picture Show on Friday nights at midnight! It had been showing it non-stop for almost ten years when I saw it in probably 1984 too.